My Grandmother lived to be 91 years old. She was a simple woman who grew up on a farm and back in that day few women graduated from high school. She wasn’t educated, but she was wise. There’s a big difference between education and wisdom. Anyone can gather knowledge, life experience and information. But few can apply it in such a way that it makes an impact in life….in their own and for others. Grandmother was wise. 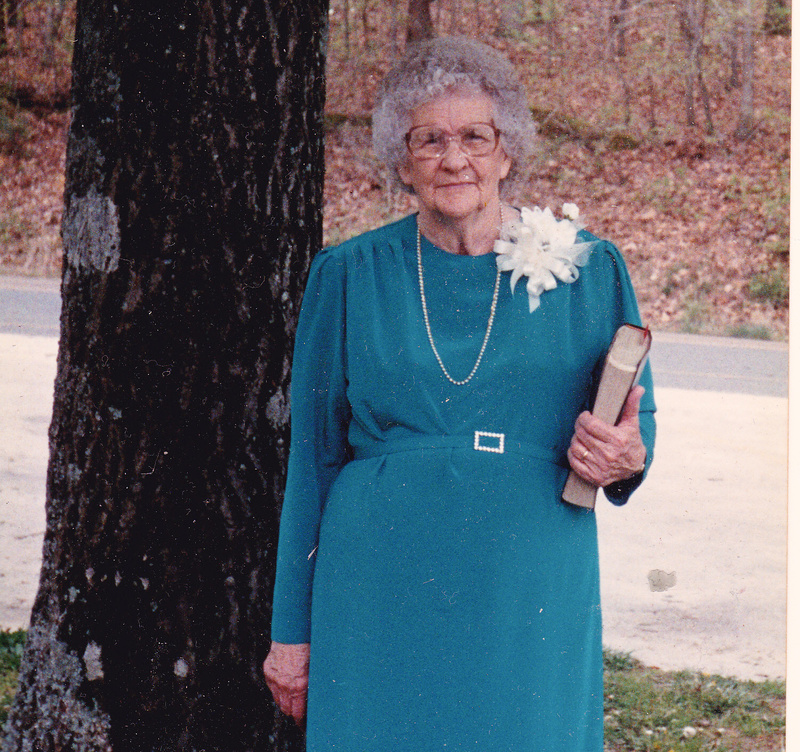 Even though she passed away a decade ago I still find myself in certain situations asking the question, “What would Grandmother do about this?” I miss her so, and her beautiful example of humbleness and strength. What was her secret to becoming wise? How do I attain that kind of wisdom in my life? I believe the answer is simple, but requires great discipline. It does NOT require lots of money for college, courses or seminars (although I think those can be great) or lots of teachers and instruction. I think the answer lies in the quiet. Sometimes when I would go to my Grandmother’s house I would walk in (we never knocked, but were always welcome) and “catch her”. She was sitting in her chair with her big ol’ Bible in her lap reading truth and praying for all of us. Some of her prayers are still being answered to this day….living on in the heart of God even though she doesn’t walk with us here in body. I’m trusting God will answer all of them in His time. So the Scriptures came from God through the Holy Spirit and the Spirit of God now works in and through us and ministers to us. And one way that the Spirit does this is by revealing truth. John 16:13 – “When the Spirit of truth comes, he will guide you into all truth” So if knowing and revering God is the beginning of wisdom and submitting to the Spirit of God reveals truth, then why are we so unwise? In our home life, our finances, our health, in our leadership, in our churches? It is because we look to the wisdom of man instead of being disciplined enough to fall on our faces before the God who reveals truth and desires for us to have wisdom. We cannot find wisdom apart from God, so why do we try? What would happen if we started depending on God for wisdom and relied on His Holy Spirit to teach us instead of running to the wisdom of man for answers to life’s problems? How different would our lives look? Friends, if you need wisdom, ask God first. Don’t run to everyone else and all the wisdom of man and the world. I believe there is wisdom in good counsel, but we must first go to the source of wisdom and find the answers needed for every area of our lives. Listen to the Spirit of God and follow His lead. God has ALL wisdom and power. ALL. If you need an answer, wisdom or power, then turn to God and wait for His reply. Wait for HIS reply. We thank you Father for the promise of answered prayers when we turn our hearts toward you and seek truth. Amen!